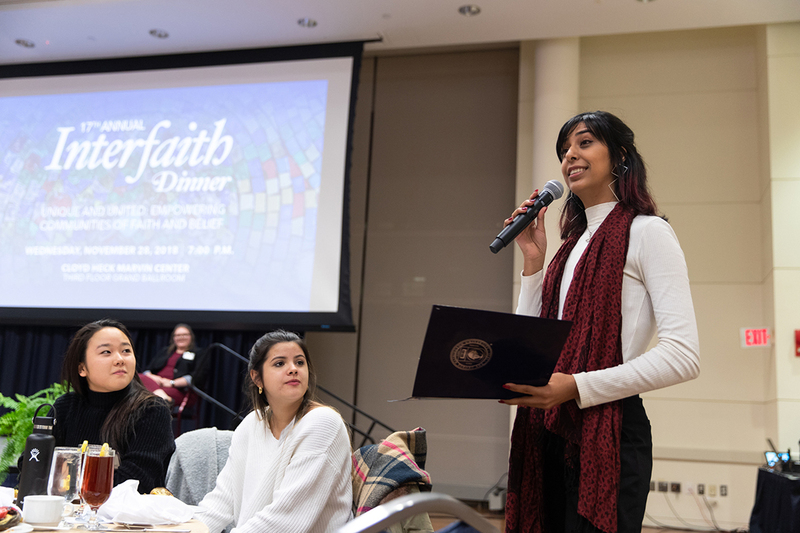 GW students celebrated religious diversity and reflected on their experiences with faith at the 17th annual event. 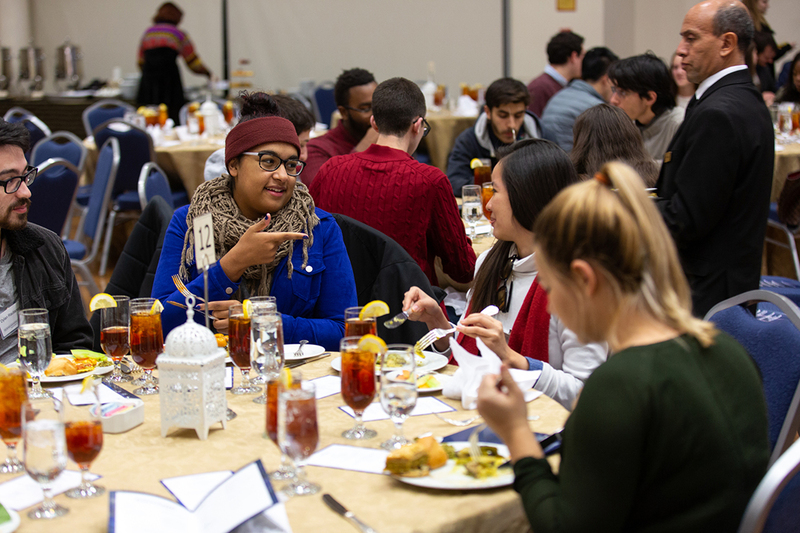 When junior Jaiya Lalla came to George Washington University from Fort Myers, Fla., she felt disconnected from her Hindu faith. She was a long way from home and found it challenging to practice her religious community’s traditions without a temple nearby. Ms. Lalla joined the GW Hindu Student Association, and when she became co-president of the organization, she made it a priority to work with other religious groups to establish the university’s first interfaith prayer and meditation space in the Multicultural Student Services Center, a meeting space that makes it easier for students to practice their faith. 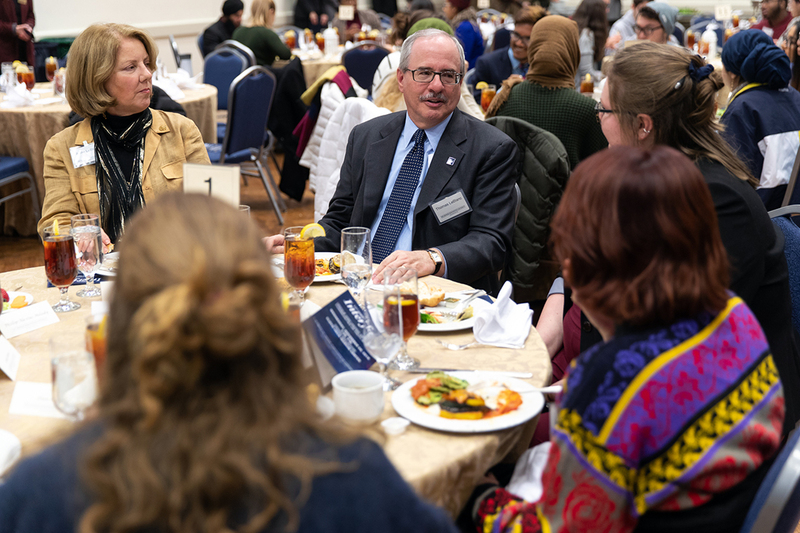 Ms. Lalla, who is majoring in international affairs, said it’s her mission to ensure that religious minorities have a voice within the GW community. 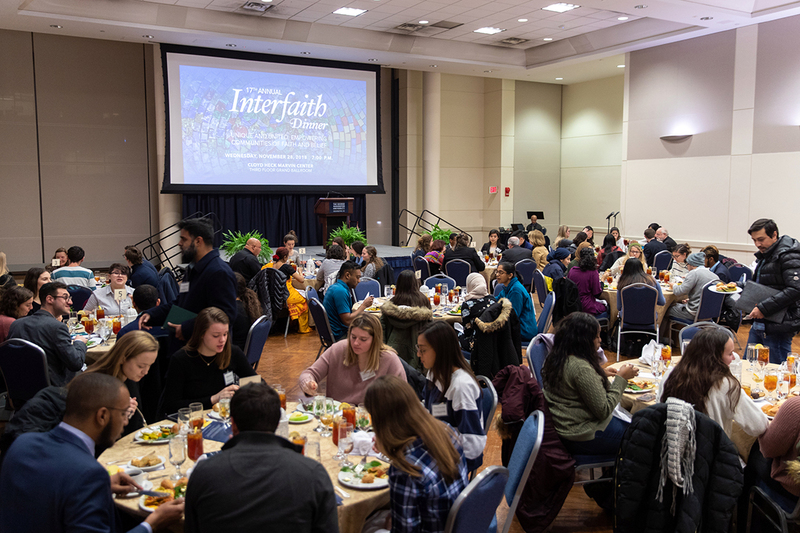 Ms. Lalla shared her journey with faith and how she became involved in interfaith efforts at GW during the 17th annual Interfaith Dinner held Wednesday in the Marvin Center’s Grand Ballroom. 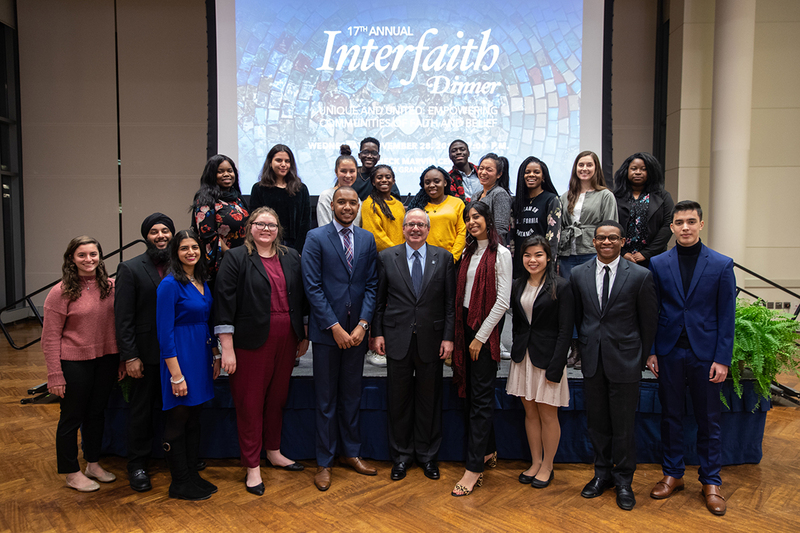 The dinner was planned by student leaders from various faith and belief organizations across the university, MSSC and GW Events. Three students representing different denominations of Christianity delivered a joint invocation before dinner was served. GW President Thomas LeBlanc attended the event for the first time this year. 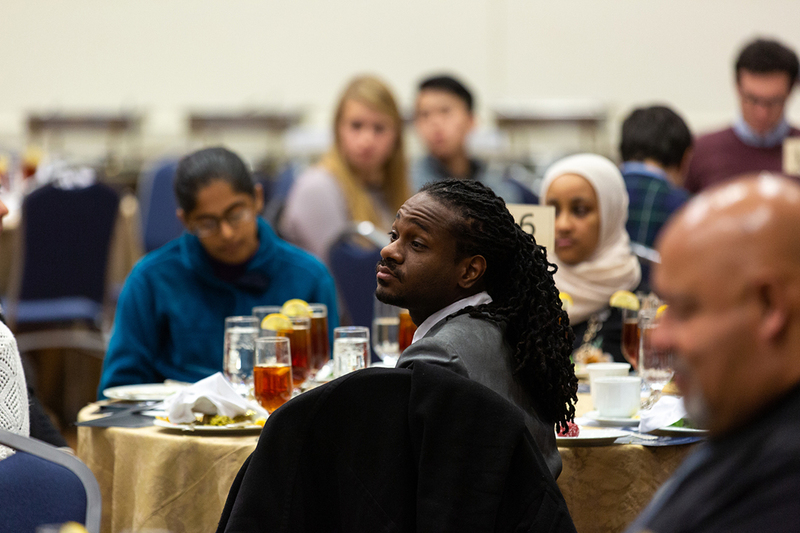 Occasions such as the Interfaith Dinner foster dialogue and understanding needed to create a more inclusive campus, he said. “It’s really important for us all to listen, really listen to those of us who may be different,” Dr. LeBlanc said. “In listening, we get a picture of why you are motivated to do what you do. We get a picture of the rich traditions that illuminate the season and bring meaning to you and your families every year. 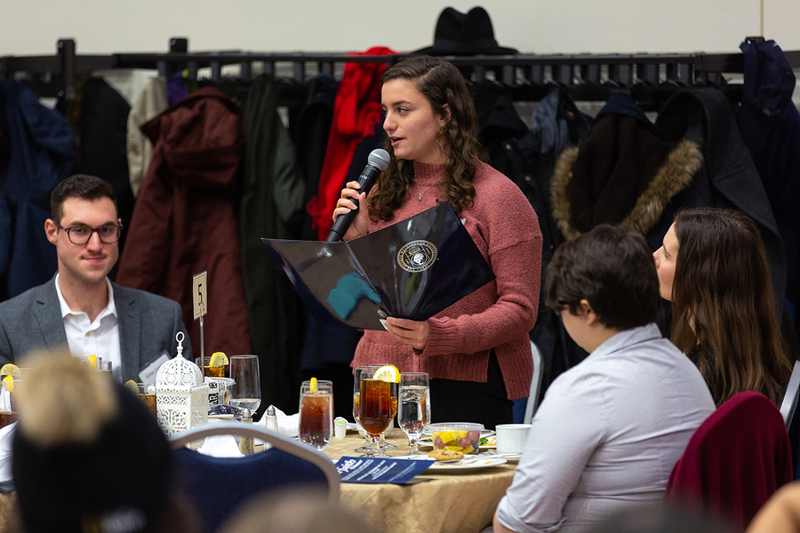 Victoria Lewis, a senior studying peace studies and religion who is president of the GW Interfaith Council, said the dinner is a “beacon of light” that showcases the university’s commitment to embracing diversity and inclusion across campus. GW students come from more than 100 countries, all 50 states and numerous religious and cultural communities. Ms. Lewis introduced students of different faith backgrounds who spoke about their beliefs and experiences at GW. 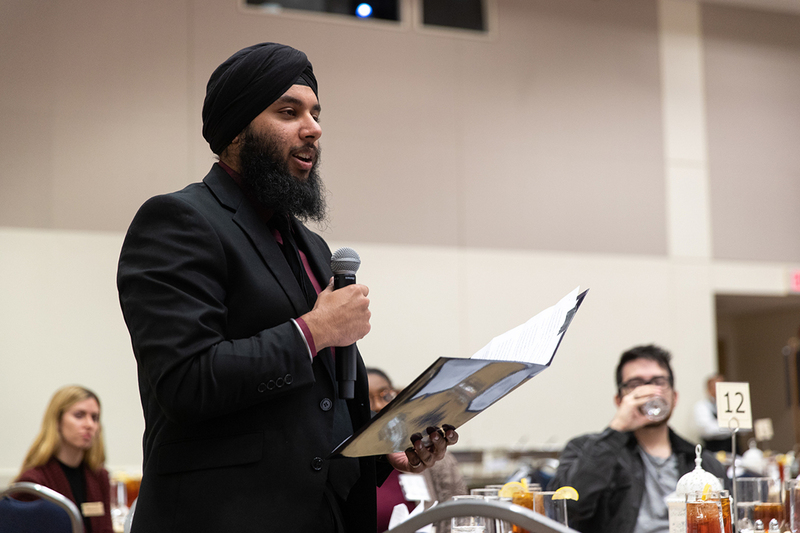 Mohmeet Choudhary, a senior studying exercise science and president of the GW Sikh Student Association, said his physical appearance easily identifies him as a Sikh. Wearing a turban and growing a beard are important aspects of his faith, but in the post-9/11 world they made him a target. 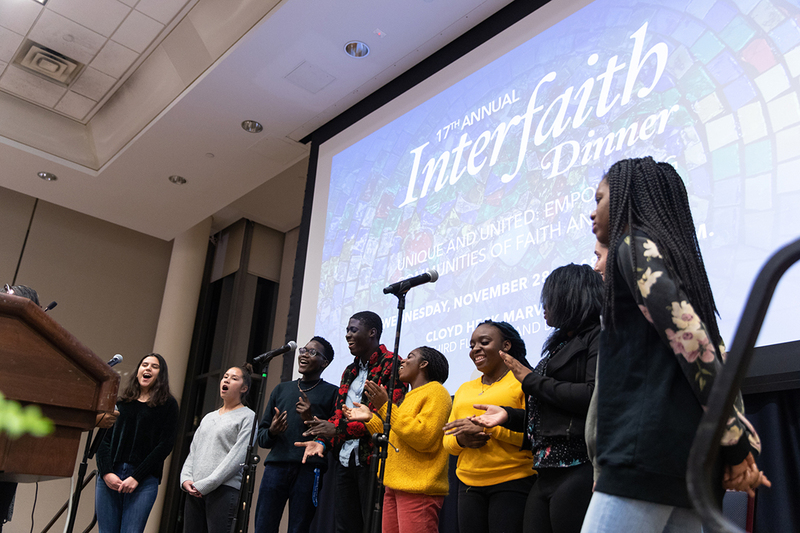 While they are practiced differently, every religion represented at the Interfaith Dinner emphasizes the importance of being a good person, loving one’s neighbor and sharing with the world around them, Mr. Choudhary said. Shayda Sales, a senior studying international affairs and a member of the Zoroastrian faith; Liora Bernstein, a senior studying communication and president of the GW Jewish Student Association; and Noaman Mousa, a junior studying international affairs and economics and a member of the GW Muslim Students Association, also spoke about their experiences. The event concluded with a musical performance by the GW Voice Gospel Choir.